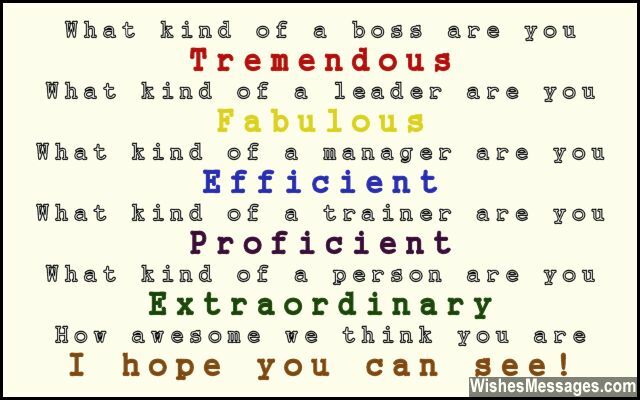 Thank You Poems for Boss: Thank you notes to bosses and managers are generally written on Boss’ day. 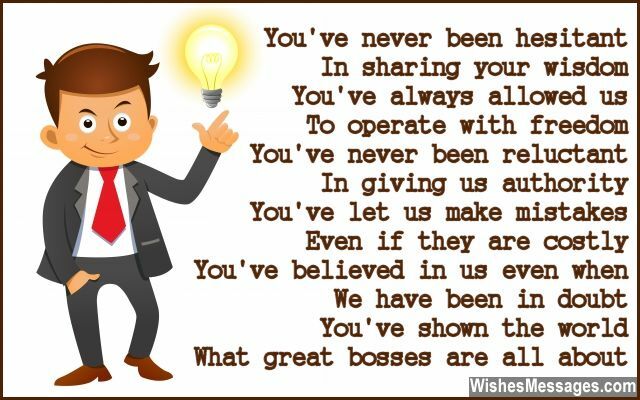 But that shouldn’t stop you from showing your boss some random appreciation for the guidance and help given to you on a daily basis. 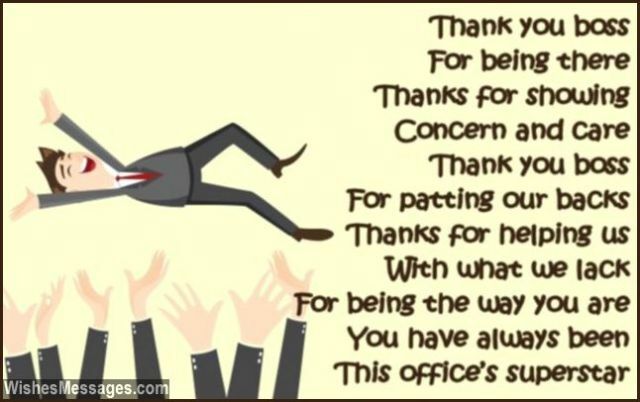 If you think that conveying your gratitude is highly overdue, let your boss know how much his or her leadership means to you. Write a short rhyme and send it to your boss as a text, Facebook post or a quote. Think of the time when your boss’ inspirational decisions saved the day or how he helped you and your colleagues get out of a mess. You can even use office humor and funny workplace incidents to remind your boss of the great working relationship that you share. A warm message will go a long way in strengthening professional ties.